Matching employers with job seekers. 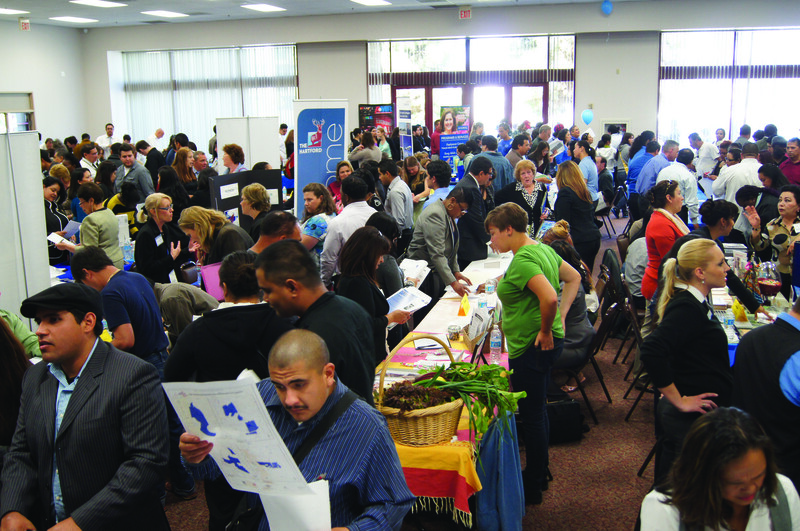 Beginning in 2012, the Chamber has organized a Spring Job Fair which has brought together nearly 1,000 job seekers with up to 70 area employers seeking to fill specific job slots. While the event is open to all job seekers, a substantial number of participants come from within the city, making it an important economic development tool. Partners have included the Small Business Development Center (SBDC) at Southwestern College and the Business Services division of the South County Career Center. The SBDC created an onsite Entrepreneurship Center with participation from six economic development agencies including the Foundation for Women, ACCION San Diego, SBDC Entrepreneur Library, SCORE (Service Corps of Retired Executives), the Center for International Trade and Connection 2 Work. For information on becoming a Job Fair Sponsor or participating as an employer, contact the Chamber at: 1-619-477-9339 or at gorrino@nationalcitychamber.org.